Рак предстательной железы (РПЖ) является 2-м по частоте и 5-м по смертности злокачественным новообразованием у мужчин в мире. Несмотря на то, что рак предстательной железы выявляют в течение жизни у 15–20 % мужчин, риск наступления смерти от РПЖ составляет только около 3 %. Это означает, что не все случаи РПЖ должны иметь одинаковую тактику ведения. Представленный обзор посвящен анализу современных исследований в области поиска молекулярно-биологических маркеров для прогнозирования течения и выбора тактики лечения РПЖ, в том числе и при развитии резистентности к андрогендепривационной терапии. 1. Злокачественные новообразования в России в 2012 году (заболеваемость и смертность). Под ред. А.Д. Каприна, В.В. Старинского, Г.В. Петровой. М.: ФГБУ «МНИОИ им. П.А. Герцена» Минздрава России, 2014. 2. Woolf S.H. The accuracy and effectiveness of routine population screening with mammography, prostate-specific antigen, and prenatal ultrasound: a review of published scientific evidence. Int J Technol Assess Health Care 2001;17(3):275–304. 3. Lawrentschuk N., Haider M.A., Daljeet N. t al. "Prostatic evasive anterior tumours": the role of magnetic resonance imaging. BJU Int 2010;105(9):1231–6. 4. Wilt T.J., Brawer M.K., Jones K.M. et al. Radical prostatectomy versus observation for localized prostate cancer. N Engl J Med 2012;367(3):203–13. 5. Vickers A., Bennette C., Steineck G. et al. Individualized estimation of the benefit of radical prostatectomy from the Scandinavian Prostate Cancer Group randomized trial. Eur Urol 2012;62(2):204–9. 6. Mhawech-Fauceglia P., Zhang S., Terracciano L. et al. Prostate-specific membrane antigen (PSMA) protein expression in normal and neoplastic tissues and its sensitivity and specificity in prostate adenocarcinoma: an immunohistochemical study using mutiple tumour tissue microarray technique. Histopathology 2007;50(4):472–83. 7. Tang D.G., Patrawala L., Calhoun T. et al. Prostate cancer stem/progenitor cells: identification, characterization, and implications. Mol Carcinog 2007;46(1):1–14. 8. Gu Z., Thomas G., Yamashiro J. et al. Prostate stem cell antigen (PSCA) expression increases with high gleason score, advanced stage and bone metastasis in prostate cancer. Oncogene 2000;19(10):1288–96. 9. Cozzi P.J., Wang J., Delprado W. et al. Evaluation of urokinase plasminogen activator and its receptor in different grades of human prostate cancer. Hum Pathol 2006;37(11):1442–51. 10. Shariat S.F., Roehrborn C.G., McConnell J.D. et al. Association of the circulating levels of the urokinase system of plasminogen activation with the presence of prostate cancer and invasion, progression, and metastasis. J Clin Oncol 2007;25(4): 349–55. 11. Van Leenders G.J., Boormans J.L., Vissers C.J. et al. Antibody EPR3864 is specific for ERG genomic fusions in prostate cancer: implications for pathological practice. Mod Pathol 2011;24(8):1128–38. 12. Craft N., Shostak Y., Carey M., Sawyers C.L. A mechanism for hormoneindependent prostate cancer through modulation of androgen receptor signaling by the HER-2/neu tyrosine kinase. Nat Med 1999;5(3):280–5. 13. Signoretti S., Montironi R., Manola J. et al. Her-2/neu expression and progression toward androgen independence in human prostate cancer. J Natl Cancer Inst 2000;92(23):1918–25. 14. Körner M., Waser B., Rehmann R. et al. Early over-expression of GRP receptors in prostatic carcinogenesis. Prostate 2014;74(2):217–24. 15. De Visser M. van Weerden W.M., de Ridder C.M. et al. Androgen-dependent expression of the gastrin-releasing peptide receptor in human prostate tumor xenografts. J Nucl Med 2007;48(1):88–93. 16. Halmos G.. Arencibia J.M., Schally A.V. et al. High incidence of receptors for luteinizing hormone-eleasing hormone (LHRH) and LHRH receptor gene expression in human prostate cancers. J Urol 2000;163(2):623–9. 17. Liu S. V, Liu S., Pinski J. Luteinizing hormone-releasing hormone receptor targeted agents for prostate cancer. Expert Opin Investig Drugs 2011;20(6):769–78. 18. Nagy A., Schally A.V. Targeting of cytotoxic luteinizing hormone-releasing hormone analogs to breast, ovarian, endometrial, and prostate cancers. // Biol Reprod 2005;73(5):851–9. 19. Weidle U.H., Scheuer W., Eggle D. et al. Cancer-related issues of CD147. Cancer Genomics Proteomics 2010;7(3):157–69. 20. Han Z.D., Bi X.C., Qin W.J. et al. CD147 expression indicates unfavourable prognosis in prostate cancer. Pathol Oncol Res 2009;15(3):369–74. 21. Arai T., Fujita K., Fujime M. et al. Expression of sialylated MUC1 in prostate cancer: relationship to clinical stage and prognosis. Int J Urol 2005;12(7):654–61. 22. Rocchi P., Beraldi E., Ettinger S. et al. Increased Hsp27 after androgen ablation facilitates androgen-independent progression in prostate cancer via signal transducers and activators of transcription 3- ediated suppression of apoptosis. Cancer Res 2005;65(23):11083–93. 23. Pootrakul L., Datar R.H., Shi S.R. et al. Expression of stress response protein Grp78 is associated with the development of castration-resistant prostate cancer. Clin Cancer Res 2006;12(20 Pt 1): 5987–93. 24. Maltseva D.V., Khaustova N.A., Fedotov N.N. et al. High-throughput identification of reference genes for research and clinical RT-qPCR analysis of breast cancer samples. J Clin Bioinforma 2013;3(1):13. 25. Shkurnikov M.Y., Nechaev I.N., Khaustova N.A, et al. Expression profile of inflammatory breast cancer. Bull Exp Biol Med 2013;155(5):667–72. 26. 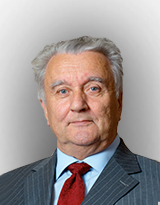 Shkurnikov M.Y., Galatenko V.V., Lebedev A.E. et al. On Statistical Relationship between ADRA2A Expression and the Risk of Breast Cancer Relapse. Bull Exp Biol Med 2014;157(4):454–8. 27. Bishoff J., Freedland S., Gerber L. et al. MP79-15 Prognostic utility of the cell cycle progression (CCP) score generated from needle biopsy in men treated with prostatectomy. J Urol 2014;191(4):e935. 28. Cooperberg M.R., Simko J.P., Cowan J.E. et al. Validation of a cell-cycle progression gene panel to improve risk stratification in a contemporary prostatectomy cohort. J Clin Oncol 2013;31(11):1428–34. 29. Long Q., Xu J., Osunkoya A.O. et al. Global transcriptome analysis of formalin-fixed prostate cancer specimens identifies biomarkers of disease recurrence. Cancer Res 2014;74(12):3228–37. 30. Ross A.E., Feng F.Y., Ghadessi M. et al. A genomic classifier predicting metastatic disease progression in men with biochemical recurrence after prostatectomy. Prostate Cancer Prostatic Dis 2014;17(1)64–9. 31. Den R.B., Feng F.Y., Showalter T.N. et al. Genomic Prostate Cancer Classifier Predicts Biochemical Failure and Metastases in Patients After Postoperative Radiation Therapy. Int J Radiat Oncol Elsevier 2014;89(5):1038–46. 32. Michalopoulos S.N., Kella N., Payne R. et al. Influence of a genomic classifier on postoperative treatment decisions in high-risk prostate cancer patients: results from the PROACT study. Curr Med Res Opin Informa UK Ltd. London, 2014;30(8):1547–56. 33. Badani K., Thompson D.J., Buerki C. et al. Impact of a genomic classifier of metastatic risk on postoperative treatment recommendations for prostate cancer patients: a report from the DECIDE study group. Oncotarget 2013;4(4): 600–9. 34. Irshad S., Bansal M., Castillo-Martin M. et al. A molecular signature predictive of indolent prostate cancer. Sci Transl Med 2013;5(202):202ra122. 35. Aytes A., Mitrofanova A., Lefebvre C. et al. Cross-species regulatory network analysis identifies a synergistic interaction between FOXM1 and CENPF that drives prostate cancer malignancy. Cancer Cell 2014;25(5):638–51. 36. Yegnasubramanian S., Kowalski J., Gonzalgo M.L. et al. Hypermethylation of CpG Islands in Primary and Metastatic Human Prostate Cancer. Cancer Res 2004;64(6)1975–86. 37. Wojno K.J., Costa F.J., Cornell R.J. et al. educed Rate of Repeated Prostate Biopsies Observed in ConfirmMDx Clinical Utility Field Study. Am Heal drug benefits 2014;7(3):129–34. 38. Partin A.W., Van Neste L., Klein E.A. et al. Clinical validation of an epigenetic assay to predict negative histopathological results in repeat prostate biopsies. J Urol 2014;192(4):1081–7. 39. Chu D.-C., Chuang C.K., Liou Y.F. et al. The use of real-time quantitative PCR to detect circulating prostate-specific membrane antigen mRNA in patients with prostate carcinoma. Ann N Y Acad Sci 2004;1022:157–62. 40. Joung J.Y., Kang Su Cho K.S., Kim J.E. et al. Prostate stem cell antigen mRNA in peripheral blood as a potential predictor of biochemical recurrence in high-risk prostate cancer. J Surg Oncol 2010;101(2):145–8. 41. Lin D., McGee S., Rieger-Christ K. et al. PI-06 Late-Breaking Abstract: The 4KscoreTM test as a predictor of high-grade prostate cancer on biopsy. J Urol 2014;191(4):e224. 42. Antonarakis E.S., Lu C., Wang H., et al. Androgen receptor splice variant, AR-V7, and resistance to enzalutamide and abiraterone in men with metastatic castration-resistant prostate cancer (mCRPC). ASCO Meet Abstr 2014;32(15 suppl):5001. 44. Nicoloso M.S., Spizzo R., Shimizu M. et al. MicroRNAs--the micro steering wheel of tumour metastases. Nat Rev Cancer 2009;9(4):293–302. 45. Heneghan H.M., Miller N., Kerin M.J. MiRNAs as biomarkers and therapeutic targets in cancer. Curr Opin Pharmacol 2010;10(5):543–50. 46. Mitchell P.S., Parkin R.K., Kroh E.M. et al. Circulating microRNAs as stable bloodbased markers for cancer detection. Proc Natl Acad Sci USA 2008;105(30):10513–8. 47. Yaman Agaoglu F., Kovancilar M., Dizdar Y. et al. Investigation of miR-21, miR-141, and miR-221 in blood circulation of patients with prostate cancer. Tumour Biol 2011;32(3): 583–8. 48. Lodes M.J.,Caraballo M., Suciu D. et al. Detection of cancer with serum miRNAs on an oligonucleotide microarray. PLoS One 2009;4(7):e6229. 49. Bryant R.J., Pawlowski T., Catto J.W. et al. Changes in circulating microRNA levels associated with prostate cancer. Br J Cancer 2012;106(4):768–74. 50. Chen Z.-H., Zhang G.L., Li H.R. et al. A panel of five circulating microRNAs as potential biomarkers for prostate cancer. Prostate 2012;72(13):1443–52. 51. Mahn R., Heukamp L.C., Rogenhofer S. t al. Circulating microRNAs (miRNA) in serum of patients with prostate cancer. Urology 2011;77(5):1265.e9–16. 52. Brase J.C., Johannes M., Schlomm T. et al. Circulating miRNAs are correlated with tumor progression in prostate cancer. Int J Cancer 2011;128(3):608–16. 53. Shen J., Hruby G.W., McKiernan J.M. et al. Dysregulation of circulating microRNAs and prediction of aggressive prostate cancer. Prostate 2012;72(13):1469–77. 54. Zhang H.-L., Yang L.F., Zhu Y. et al. Serum miRNA-21: elevated levels in patients with metastatic hormone-refractory prostate cancer and potential predictive factor for the efficacy of docetaxel-based chemotherapy. Prostate 2011;71(3): 326–31. 55. Gonzales J.C., Fink L.M., Goodman O.B.Jr. et al. Comparison of circulating MicroRNA 141 to circulating tumor cells, lactate dehydrogenase, and prostate-specific antigen for determining treatment response in atients with metastatic prostate cancer. Clin Genitourin. Cancer 2011;9(1): 39–45. 56. Hessels D. Klein Gunnewiek J.M., van Oort I et al. DD3(PCA3)-based molecular urine analysis for the diagnosis of prostate cancer. Eur Urol 2003;44(1):8–15; discussion 15–6. 57. Vlaeminck-Guillem V., Bandel M., Cottancin M. et al. Chronic prostatitis does not influence urinary PCA3 score. Prostate 2012;72(5):549–54. 58. Filella X., Foj L., Milà M. et al. PCA3 in the detection and management of early prostate cancer. Tumour Biol 2013;34(3):1337–47. 59. Leyten G.H., Hessels D., Jannink S.A. et al. Prospective multicentre evaluation of PCA3 and TMPRSS2-ERG gene fusions as diagnostic and prognostic urinary biomarkers for prostate cancer. Eur Urol 2014;65(3):534–42. 60. Robert G., Jannink S., Smit F. et al. Rational basis for the combination of PCA3 and TMPRSS2:ERG gene fusion for prostate cancer diagnosis. Prostate 2013;73(2):113–20.